What best describes your spiritual walk? Vibrant or sluggish? If you're like most, your faith walk has seen better days. Best-selling author Max Lucado opens the Scriptures to the book of Joshua to discover a few lessons about overcoming obstacles and entering into the promises of God. Max: I think, perhaps, the most undiscovered truth in the church today is this idea of heirs with Christ—or co-heirs with Christ. Can you imagine if you are a co-heir with the daughter of Bill Gates—I mean, a co-heir—not just a distant cousin—but a co-heir? You know, it’s the Apostle Paul who really advances this thought—especially in Romans, Chapter 8—where he calls us, not just heirs of Christ, but co-heirs with Christ. Bob: This is FamilyLife Today for Wednesday, December 9th. Our host is the President of FamilyLife®, Dennis Rainey, and I’m Bob Lepine. If, in fact, we are joint heirs with Jesus, just exactly what is it we are entitled to? We’re going to explore that idea today with Max Lucado. And welcome to FamilyLife Today. Thanks for joining us. So, do you think most people listening to us right now—Christians who are listening—do you think they are living spiritually vibrant or spiritually sluggish lives? Dennis: Well, according to our guest, there are a lot of them that don’t feel like they are winning. They feel like they are losing. 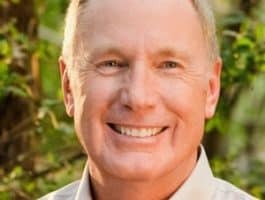 But before we get to what his book is about, I want to introduce Max Lucado to our listening audience. They don’t really need an introduction, but I’ll give them one anyway. Max: Thank you. It’s a great honor. Dennis: It’s a privilege to have you here. Max has written 32 books. He’s got a new one out—what you are talking about, Bob—it’s called Glory Days. You’ve actually come across some research from the REVEAL study which really talks about the spiritual health of the church. Share that with our audience because it really is interesting. Max: It is. 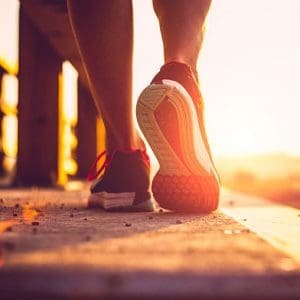 It’s the most comprehensive study that exists today as far as the spiritual development of people who call themselves Christians—and that’s a broad phrase—they would say there is a time in their lives in which they made a commitment to Christ—and from that end of the spectrum all the way to those who are very, very active in church life. So, when you study a thousand churches—the members in a thousand churches—only 11 percent of all of those people would say that their spiritual life is vibrant / that they are making a spiritual progress—that they are really discovering what it means to love God and to love their neighbor—only 11 percent. Bob: So, you’re saying, at some level, there are 100 percent who are going, “I’m not where I ought to be spiritually”; right? Dennis: Yes, and I would think a lot of people might even say: “Introduce me to those 11. Do they have pride or something?—I mean, seriously.” Comment on that, if you would, because I know you’ve had to deal with it in your own life. Bob: You have pastored the same congregation in San Antonio for almost three decades now? Bob: And as you look out on a Sunday morning, preaching to your folks, are you thinking to yourself, “Nine out of ten of these folks are stalled out”? Max: I think we are making great progress in some ways; but at the same time, I feel like we lack depth in some of the issues that our congregation struggled with, again, 25 years ago—seem to be struggling with them even more deeply: “How do I believe in the authority of the Word of God? Can Christ really forgive all my sins? How do I know Jesus really rose from the dead?” These are bedrock pillars in the belief system. I don’t know if it’s typical of all churches / I can’t speak for all churches—I wish we could get deeper on the things that matter. Dennis: —even though he didn’t have the REVEAL Survey—because if you just check out how the book begins—and I’ve done a little study in the book myself—and it’s interesting, Max, that he begins with three charges to be courageous. Now, victory comes through courage—doing your duty in the face of fear / in the face of obstacles. And there are really three things in the first chapter [of Joshua], in the midst of him challenging them to be courageous—that, to me, is a bit of a tipoff, just around the thing you are talking about that maybe they weren’t victorious. The first thing he said in verse 6: “Be strong and courageous for you will cause this people to inherit the land that I swore to their fathers to give them.” So, the first thing he gave them was a mission. He gave them God’s mission for that people. —I think most people in church today aren’t really calibrating their lives around the Great Commission. The Great Commission is the greatest mission ever given to a group of people—to proclaim the gospel—to lead people to Christ, baptize them, disciple them, and call them to observe all that Christ has commanded them. And then, the last thing is in verse 9—Joshua says: “Have I not commanded you be strong and courageous? Don’t be frightened. Don’t be dismayed…” Doesn’t that sound like our day today? What’s His solution? Listen to this: “…for the LORD your God is with you wherever you go.” So, courage comes from experiencing the presence of God. And I look at my own life, when I’m not victorious, because I’ve been through some hard things in my six-plus decades of life as well. It is real easy to forget God is there and to not look to Him in the midst of a crisis / in the midst of things that challenge us. Life is just one long process of one challenge after another, one loss after another, one thing that God is using in our lives to teach us to grow down deep into Him. It’s our responses to those challenges that determine whether we are going to grow or whether we are going to become dull. Max: They did; didn’t they? That, to me, is so encouraging because I think we live in a day in which many people look at God’s Word and criticize it / denounce the existence of God. We assume things are on a steady decline, and they are going to keep in this direction forever. That may be true. Yet, here is an example of which things were turned around, literally, from one generation to the next in just a matter—a short period of time. Dennis: —the other generation moved into the land. Max: Flourished—flourished. And in seven years, they defeated 31 kings. I, sometimes, think we assume we’re going to struggle all the time. We just assume we’re going to have so many challenges—that we’re going to lead a defeated, marginalized life / we’re going to limp our way into heaven. I’m thinking that the Book of Joshua is in the Bible to call us to a different level of hope, and courage, and faith—like you said—in the sense that they discovered a sense of courage that allowed them to do what they’d never seen done before. Bob: —message of this book; right? Max: And thanks for clearing that up because I grew up singing songs that left me with the impression that the Promised Land was only after this life in heaven. It certainly will be after this life in heaven, but we enter into our Promised Land right now. The truth of the matter is that Canaan was full of challenges for Joshua—just like our lives are full of challenges today—but God guided the children of Israel into those challenges, and they were victorious. And the Book of Joshua gives us some powerful principles—some of which, Dennis has already pointed out—going first into the Word of God. —not in changing churches, not coming up with a new denomination, or listening to a different broadcast—but spending daily time in God’s Word was the common denominator among people who really felt like their spiritual life was flourishing more than languishing. That’s exactly what God told Joshua, “Mediate on these words every day.” So, we can begin doing that immediately and expect that we are going to begin discovering some victories as a result. Dennis: You speak in your book about how the concept of an inheritance or heritage is mentioned numerous times in the Book of Joshua. Don’t you think that a lot of Christians forget who they are and forget that they have royal blood in their veins and that they have a position in Jesus Christ? They are not a nobody—God is ordering their steps and they, too, have an inheritance. Max: I think, perhaps, the most undiscovered truth in the church today is this idea of heirs with Christ—or co-heirs with Christ. It’s the Apostle Paul who really advances this thought—especially in Romans, Chapter 8, and, of course, in the epistle to the Ephesian church—where he calls us, not just heirs of Christ but co-heirs with Christ. Can you imagine if you are a co-heir with the daughter of Bill Gates? I mean, a co-heir—not just a distant cousin—but a co-heir. Well, the Scriptures say, “We are co-heirs with Christ.” This means that every attribute at the disposal of Christ is an attribute to which I can have access. I can have access to the patience of Christ, the faith of Christ, the joy of Christ, the hope of Christ. This is an astounding discovery to me, and it was revolutionary in my own life. “I’ll never get better,” or “I’ll never overcome this,” or “Our family cannot be saved.” This is the reason the Apostle Paul said, “I can do all things through Christ who strengthens me.” I can do all things because I have access to the very power of Christ, and the same power that raised Christ from the dead is the same power that is living and alive in me. This is an exciting discovery, I think, for the Christian. So, what’s the difference between striving and trusting? —every time I asked him for a car—he said, “You’re going to have to earn it / pay for it. Convince your mom to give it to you,”—you know. He—but something happened to him one day. He came across this old Plymouth. In a moment of weakness, he bought it; and he gave it to me. So, I inherited that car. Now, I still had to start it. I still had to open the door. I still had to drive it. I still had to care for it, but I inherited that—it was mine / it was given to me. I had to learn to live in it and to use it. This is the promise of Christ—we have inherited the presence of Christ in our lives—it is there. It is a—the court records of heaven have been changed—forever altered. We are children of God. So, let’s take the keys. Let’s move forward in faith. And really, this is a mindset that is a stronghold among many Christians. They just assume they never will. They are just happy to get to heaven by the skin of their teeth; you know? They are not thinking they are going to have victories. I’d like us to stand against that and activate within the church a series of Canaan-level conquests and see the Jericho walls come down. Max: What God said to Joshua: “Every place you step, that land will be yours.” Now, that is an interesting promise. He didn’t say, “Go out and fight for the land.” He said, “Fight from victory—I’ve already given you the land. So, just keep marching and believe, by faith, that I’m going to provide this as you step forward.” Again, Joshua had to step forward. They had to step into the Jordan River before the river opened. They had to start walking around Jericho before the Jericho wall came down. So, they took their steps of faith; but, boy, God responded in great victory. Dennis: The walls may not come down on your time table, though. Dennis: Those steps of faith that I have taken—some of the most difficult ones were when I stepped out, and I did not see what I hoped I would see. Bob: When it’s Day 6 of the march and you’re thinking, “When is this thing going to happen?”—right? Dennis: —I mean, in their marriage, with their kids, in their own personal lives—single parents / blended families. Max, allow us to kind of step into your mind for a moment and take us to how you start your day and how you practice that because I do think it begins at the beginning of the day. That sounds kind of “Duh!” but we have to think rightly about ourselves. What are the thoughts you have about yourself that help remind you—where do you get that from? Max: I appreciate your mentioning this because I sure don’t want to leave the impression that this is easy; and I don’t want people to feel an additional guilt in addition to the challenges because they feel guilt because they can’t face their challenges. Well, there is a great place every day—I wake up, and I look in the mirror, and I say, “I’m a co-heir with Christ—not because I’m good, not because I’m smart, not because I’m good-looking,”— because I’m none of those. Dennis: —not because you’re an author, or a pastor, or a speaker. Max: No, not one bit. And I can’t add to that, and I can’t take away from it. I can just accept it. My best work has never increased it. My worse mistake has never diminished from it. It’s a gift of salvation / it’s the great grace of Christ. Dennis: —because the pages do remind you who wins in the end. Max: Absolutely. So, every day, we trust that the Lord is going to speak to us. To me, I have to have some of God’s Word in the morning. I have a friend who spends two or three hours in God’s Word every morning. I wish I did; but I do spend regular time in God’s Word, reading through Scripture. To me, that just puts the day on the right track. Dennis: I’ve been, recently, reading the Book of John. One of the things that Barbara and I have talked about, as we read our Bibles in the morning, is the phrase that’s used in there that Christ uses: “I don’t do anything that I don’t see the Father doing. I don’t speak any words that I don’t hear the Father speaking.” Here is the God-man, Jesus Christ, who He, Himself, was dependent upon God to show Him the works He had for Him—to tell Him what to say / what to speak. I’ve just been chewing on that and going, “How often am I asking the Father: ‘What are the works? What are the words?’” That is where we get our identity—as we listen to the Father and we’re reminded: “This is not just any father. This is the Lord God Almighty. He’s the One who provides. He wants to speak with me daily and fellowship with me. Bob: You know, at our Weekend to Remember® marriage getaways, we tell couples that, if you are not intentional and purposeful in building into and strengthening your marriage relationship, it will drift toward isolation. I think what you are saying, Max, is that, if we’re not intentional and purposeful about building into our relationship with Jesus, we will find ourselves in a spiritual wilderness as well. This is something that we have to be purposeful and disciplined with. And you think about the season that we are in right now—this is a perfect setup—not only for us to be intentional about walking with Jesus—understanding who Jesus is / keeping our hearts and minds focused on Jesus—but it’s also a great setup for us to be able to communicate this to our children. I know we’ve had a lot of people, over the last week-and-a-half, who have been getting in touch with us to order the Christmas tree ornaments that Barbara has created this year that have the names of Jesus in different languages to hang on the Christmas tree. We have also created a series of 12 ornaments for children—“The Twelve Names of Christmas™” we call it. There is an ornament for: Jesus is the Light of the World, Jesus is the Lamb of God, He’s the King of kings, and He is the Lion of Judah. There is a book that comes with it so you can read to your kids as you hang these ornaments on the tree—a little more about who Jesus is. This is the kind of intentionality that we think needs to be a part of every family. Ask for more information about the ornaments or about Max’s book, Glory Days. We’ll be happy to send these resources out to you. Now, as we are just weeks away from 2016, I think most of our listeners are aware this is a critical time of year for ministries like FamilyLife Today. We’re hoping to hear from listeners over the next couple of weeks. In fact, we’d love to hear from you today if you can help with a yearend contribution in support of this ministry. When you make a donation today, your donation is going to be matched. In fact, it’s going to be tripled. So, if you are able to give $100, that will become a $300 donation for FamilyLife. That matching-gift fund is up to a total of $2 million. So, we’re hoping to hear from as many of our FamilyLife Today friends as possible. And if you can make a donation today, we would love to hear from you. You can do that, online, at FamilyLifeToday.com. You can call 1-800-FL-TODAY to make a yearend donation; or you can mail your donation to us at FamilyLife Today at PO Box 7111, Little Rock, AR; and our zip code is 72223. And let me just say how grateful we are for your partnership with us and your support of this ministry—especially here in the last weeks of 2015. And we hope you can join us back again tomorrow when we’re going to talk with Max Lucado about what it looks like / what it really means to walk by faith and to pray with faith. That comes up tomorrow. Hope you can be with us for that.